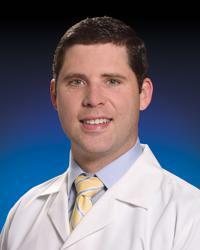 Paul J. Carroll, DPM is a podiatric surgeon for MedStar Plastic and Reconstructive Surgery, practicing at MedStar Good Samaritan Hospital and MedStar Franklin Square Medical Center. He specializes in foot and ankle trauma and reconstructive surgery, as well as lower extremity sports medicine. Dr. Carroll earned his Doctorate of Podiatric Medicine at the New York College of Podiatric Medicine. He completed a three-year residency at MedStar Georgetown University Hospital and MedStar Washington Hospital Center. His clinical skill was recognized during residency with the 2015 Diabetic Limb Salvage Award. Dr. Carroll completed his foot & ankle reconstructive fellowship training at the Orthopedic Associates of Lake County and Lake Health in Concord, Ohio. He is board qualified by the American Board of Foot and Ankle Surgery in general foot surgery and reconstructive rearfoot/ankle surgery. “Rearfoot” surgery refers to procedures on the back portion of the foot. An active member of the community, Dr. Carroll serves as a medical volunteer at the Boston and New York City marathons. He is committed to supporting his patients’ podiatric health, one step at a time.